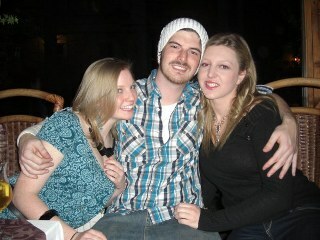 VIP clubbing in Zakopane: Bars, clubs, pubs and Apres-ski awesomeness! 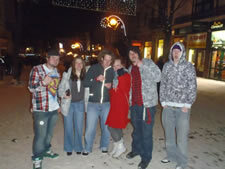 Night Life in Zakopane: Bars, clubs, pubs and Apres-ski! 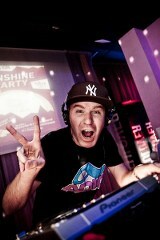 Since 2005 Sunshine World has been organising awesome parties in the clubs and bars and restaurants of Zakopane. We are now proud to have the best, direct cooperation with the very best clubs and their owners. 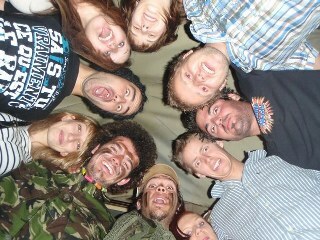 We now regularly organise events for hundreds of people. If you have an event of any size, no matter how large or tiny, get in touch and we can give you 101 party ideas all organised by our Pro Team and our fantastic Club Promo Team. 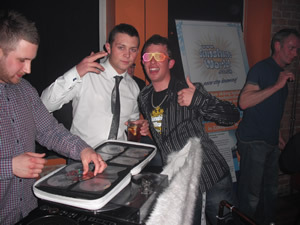 We've even brought the legendary Smartie Partie to Zakopane with world class DJs (who often command more than £5k a night!) flying out to us to play for free! All about love! 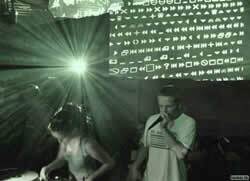 Thanks a million once again to Trace, Claire and all the DJs and Smartie Partie people for being so awesome all the time! If you are looking for a holiday where you can play all day and party all night, or just party all the time then Zakopane can definitely keep you entertained. 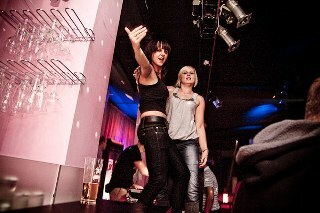 There are a number of nightclubs in the centre of town and numerous bars and pubs; Zakopane can cater to almost everyone’s tastes. The bars and pubs vary greatly in style with everything from small local bars that do not have too much to offer in the way of fancy décor but will provide the drinks to highly popular cocktail bars and clubs. There are a few bars in Zakopane that are solely just bars in that they only serve drinks, however being a tourist town there are a lot of restaurants in the town centre with bars inside. People will not mind if you go into a restaurant just to sit and drink, in fact there are a couple of restaurants that are the only places in town where you can get your hands on a litre flagon of beer. 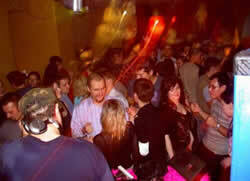 As in most holiday destinations nightlife varies according to the day of the week and time of year. 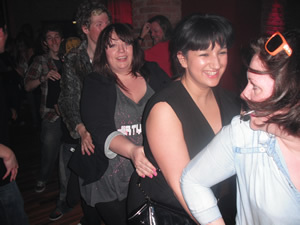 You cannot expect to go out on a Monday night out of season and find a club full of people. However, you will find the clubs are busy almost every weekend in Zakopane as people from Krakow and further North in Poland regularly stay in Zakopane for the weekend. During holiday periods Zakopane is not only a popular tourist destination with people from abroad but also with people from all around Poland leading to clubs being packed out everyday of the week. Bars and Pubs are open from early in the day until around midnight, with the clubs staying open until around 4 o’clock depending on how busy they are. 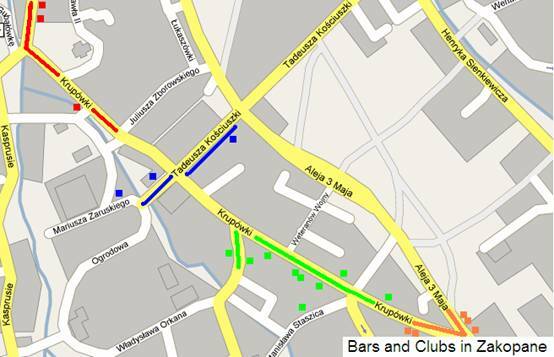 The following guide to the bars and nightclubs should help you choose a few places to go and give a rough guide as to what you can expect to find in Zakopane. There are so many places to squeeze onto a small map so the town centre has been divided into 4 coloured areas on the map, the bars and clubs on the list below have the names written in the same colour as the area of town they can be found in. The centre of town is effortless to find your way around so finding a place to party is simple. VA VA VOOM – One of the smarter clubs in Zakopane, Va Va Voom has two floors, a bar area downstairs and upstairs another bar with a dance floor. There are often live DJ’s playing the music, usually funky house and the odd Polish celebrity can be seen strolling around. 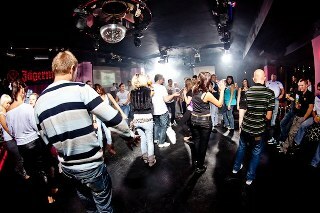 MORSKIE OKO – Quite a busy nightclub playing a mix of commercial and techno music, could do with a bigger dance floor. However, it is a good place to just sit and enjoy the atmosphere if you are not a dancer as there is a large comfy seating area. PRESTIGE – A small underground nightclub, Prestige is able to keep a good friendly atmosphere even when there are a lot of people in town. It has a small dance floor complete with a pole and plenty of seating areas all around the club including a private VIP room compete with flat screen TV for any special occasions. DWORZEC NIGHT CLUB ZAKOPANE - one of the most renowned places in Poland for club music and artists from all over the world. The club often holds live music concerts. 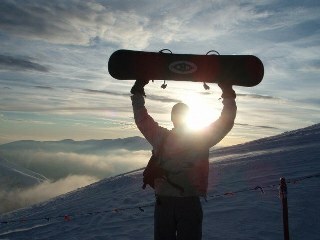 In 2002 Ampstrong ( the clubs pervious venue) held the patronage of the Polish Snowboard Championship and was the meeting place of the snowboarders. 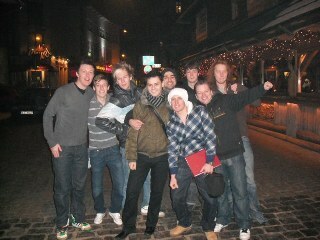 It was also the organiser of the After Ski Jumping Party. Its guests have been people close to the Polish FIS skiing championship. 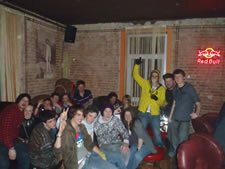 In 2004 the club organised a rave for the participants of the Polish Downhill Championship! 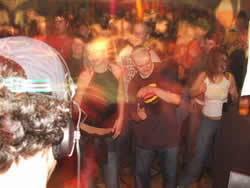 Dworzec continues to host many competition apter parties and events. La Playa Beach Bar – A surfer style beach bar. Chilled and relaxed venue. Popular with the younger locals and offers possibly the best pizza in Zakopane. SEAGRAMS – Zakopane’s only Irish bar, Seagram’s has a friendly atmosphere and is very popular with British tourists, a good place to find a few friends to party with. 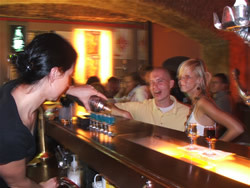 ANEMON – One of Zakopane’s smaller bars, however, Anemon has everything you really need from a bar, a large choice of drinks. LEGENDA NIETOPERZA – Legenda is a modern, well-decorated underground café bar. It is a nice place to go if you are looking for a quieter place to sit and drink. If you are a fan of Whisky, this is the place for you. PIANO – More popular with the local people, Piano is a chic little bar with swings at the bar instead of bar stools. It is only small but has a true local atmosphere. – This bar offer a great menu of Shisha flavours and cocktails. 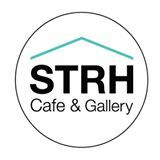 Strh cafe - A brand new modern cafe at the lover end of the high street, above the Samanta bakery. Strh serves healthy juices and smoothies as well as summer cocktails. This is a great place to relax and unwind. Tunnel Bar - Tunnel is located where the old Mexican used to be. Down a little alley of of the high street. Tunnel serves both food and drinks and is a good stop of point as you make your way up the high street. You will also find a few varieties of beer here, that you can't find in other Zakopane bars.